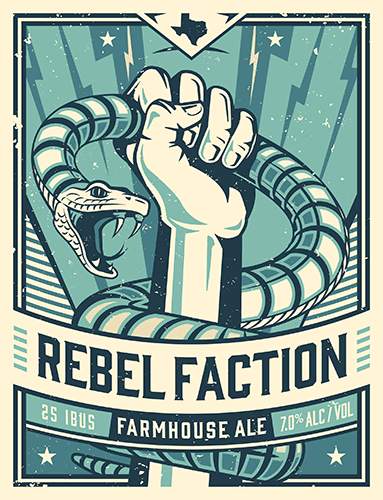 In this week’s episode, the Six Pack Team cracks open a pack of Rebel Faction Farmhouse Ale by the Unlawful Assembly Brewing Company out of Plano, Texas. This delightful farmhouse ale was a hit. It’s light body makes it easy to drink, but despite that it still manages to maintain a full flavor profile. Though this was a well received it was agreed that elevating the spice profile of this brew would catapult it into the realm of top rated beers for this show. Will it get you laid? If you’ve already got your foot in the door, this may be the thing that pushes you over the top. Which date should you pull this out on? It’s a great get to know you beer but won’t be wowing anyone, so use it on the second or third date.